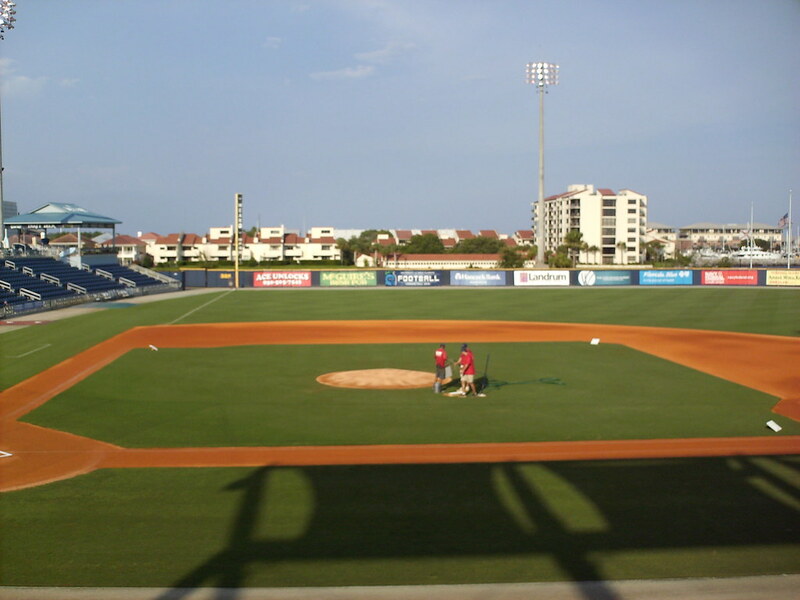 The view from behind home plate at Blue Wahoos Stadium. 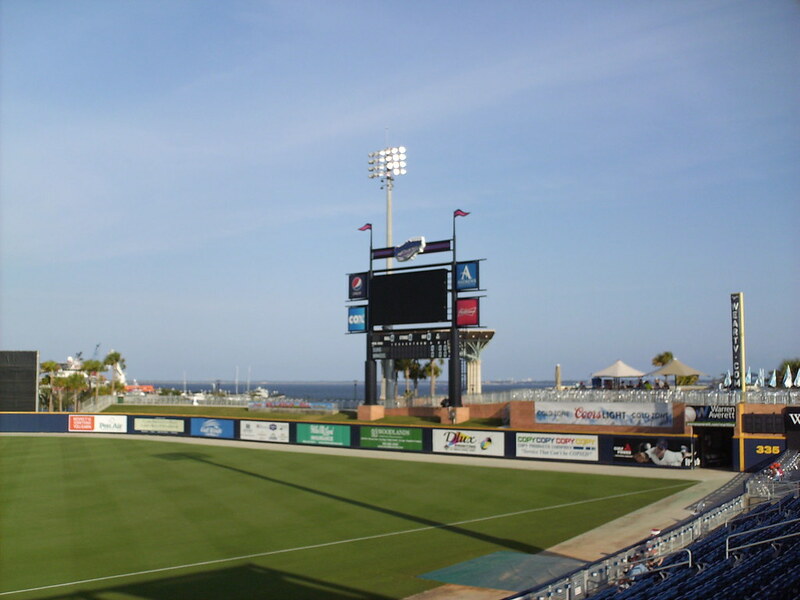 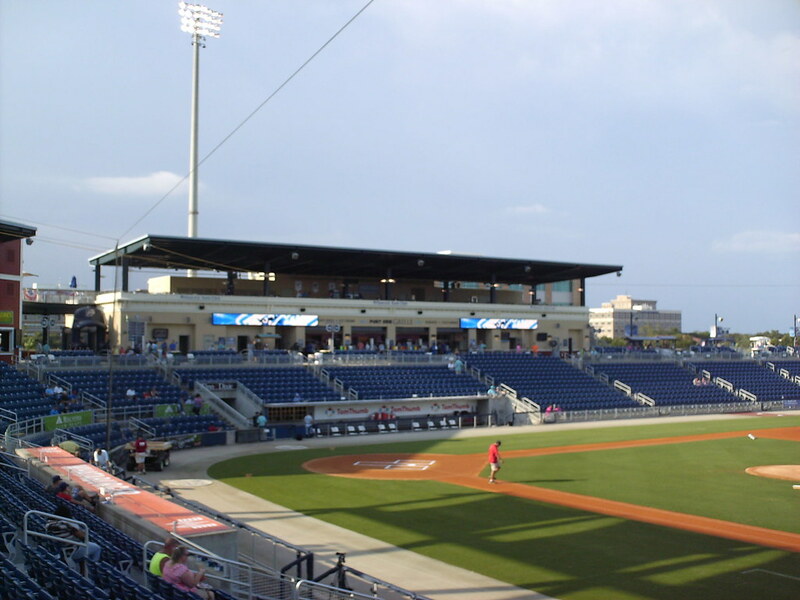 The grandstand at Blue Wahoos Stadium, as seen from center field. 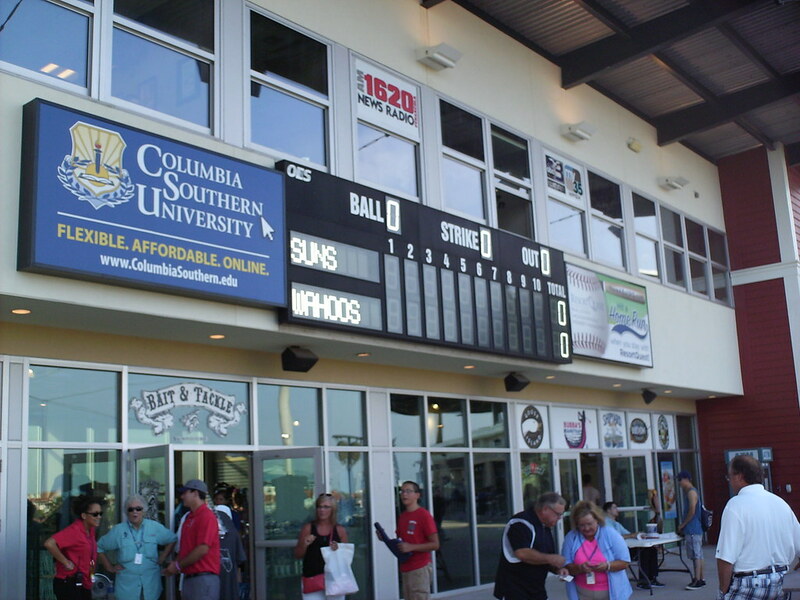 The pressbox sits beyond the concourse behind home plate, and a secondary line score board hangs on the facade. 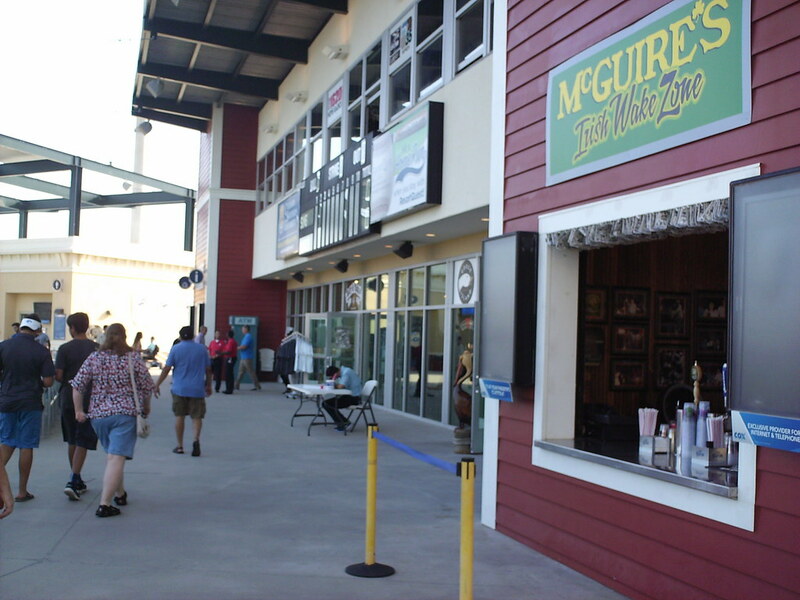 The pressbox building also houses the Bait & Tackle team shop, an indoor restaurant, and a bar accessible to fans on the concourse. 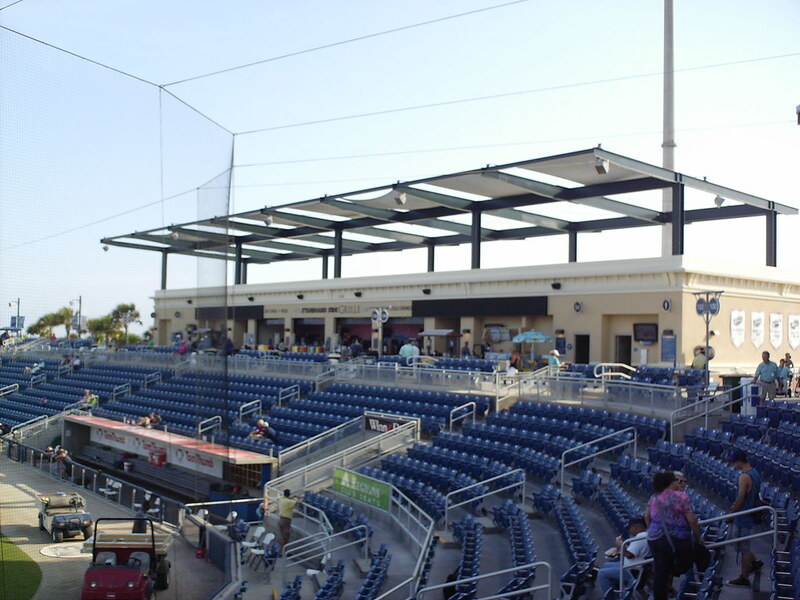 A bridge connecting the stadium buildings behind home plate features umbrella covered seating. 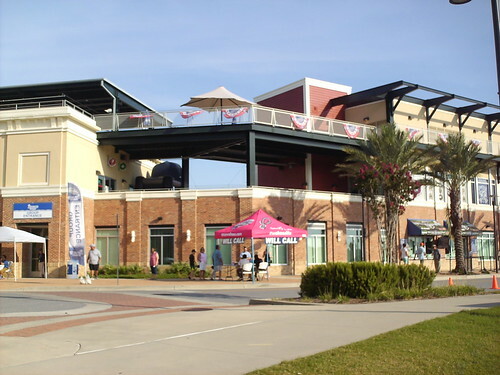 The building on the third base side of the park features luxury suites on the roof of the concourse concession stands. 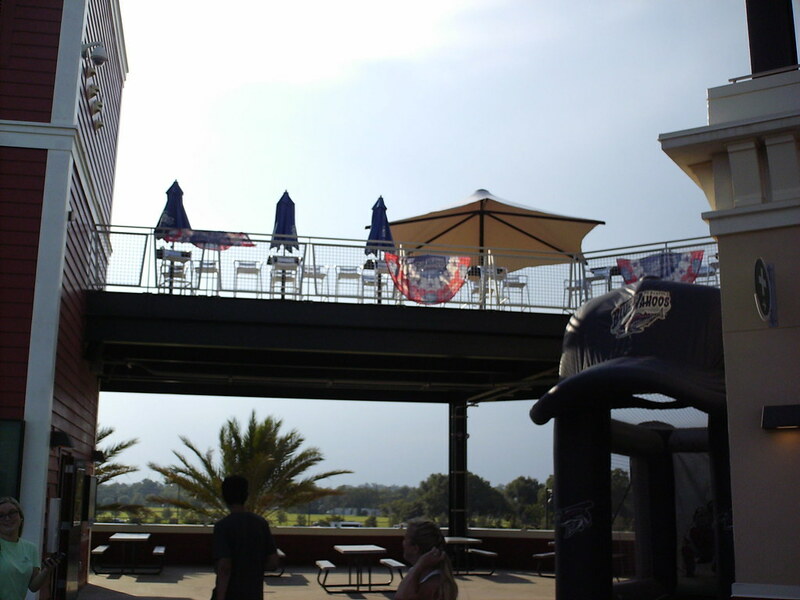 The concession building on the first base side features a party deck and rooftop sun shade. 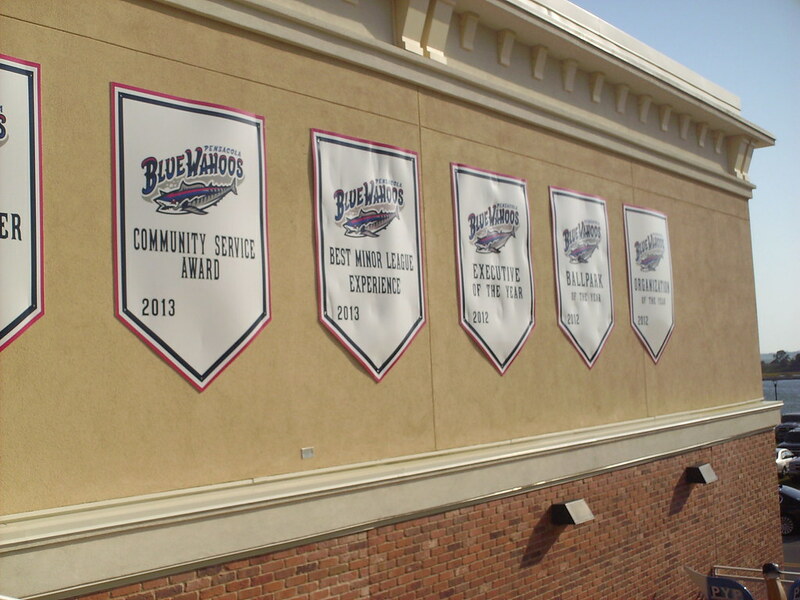 Banners on the concourse at Wahoos Stadium celebrate team awards, including Baseballparks.com Ballpark of the Year. 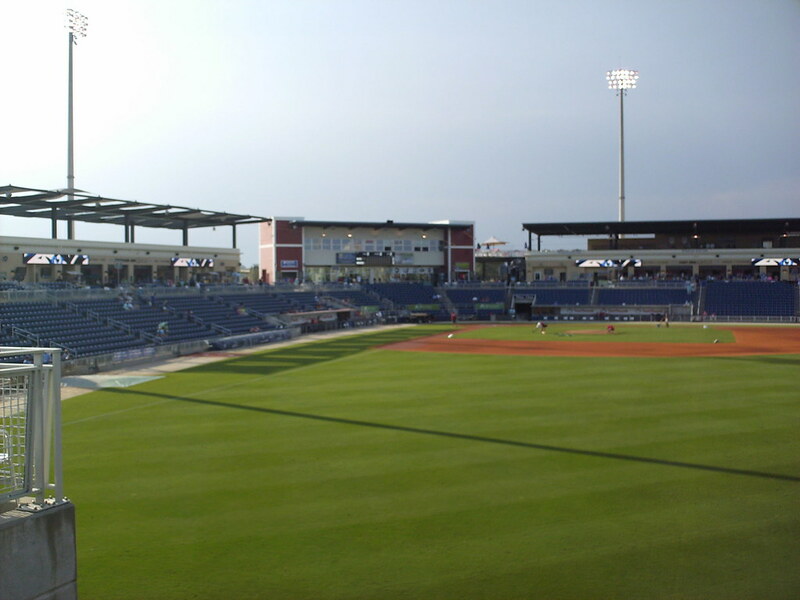 The seating bowl at Blue Wahoos Stadium, with boxed off club seating behind home plate. 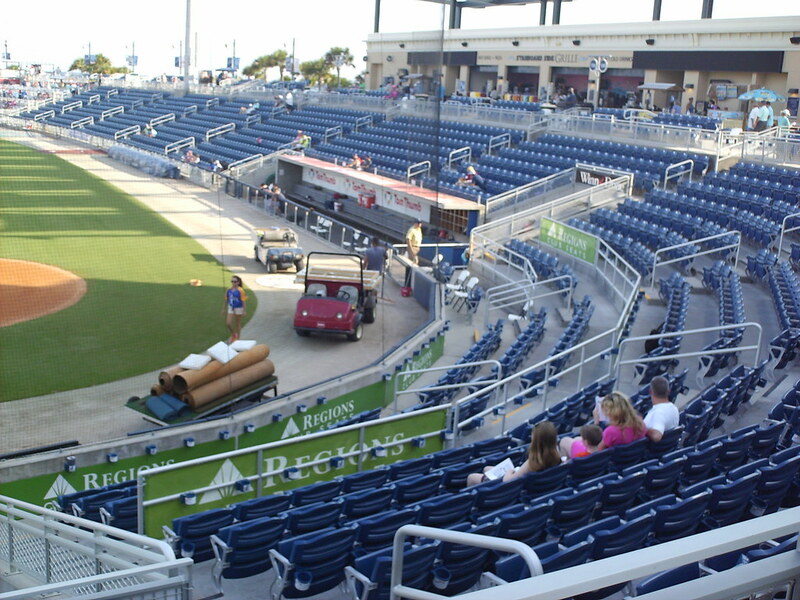 Group table seating sits above the outfield wall in the right field corner of the field. 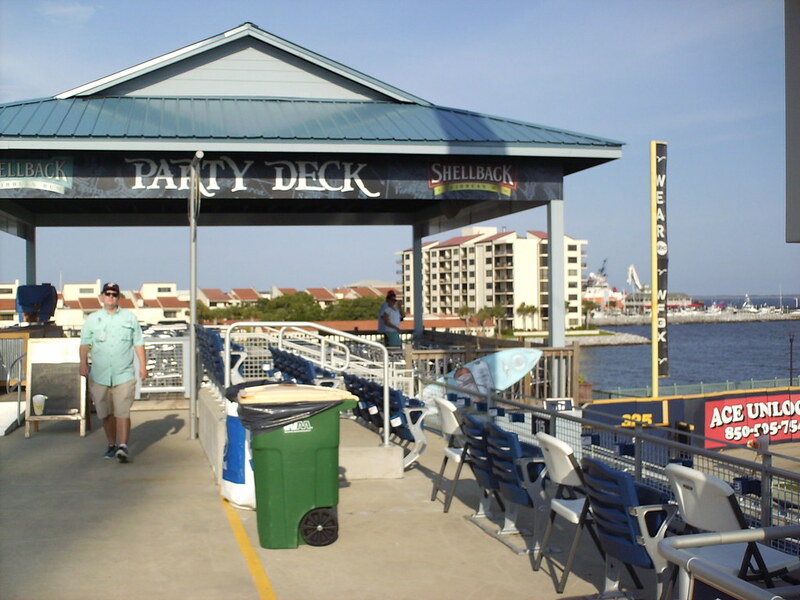 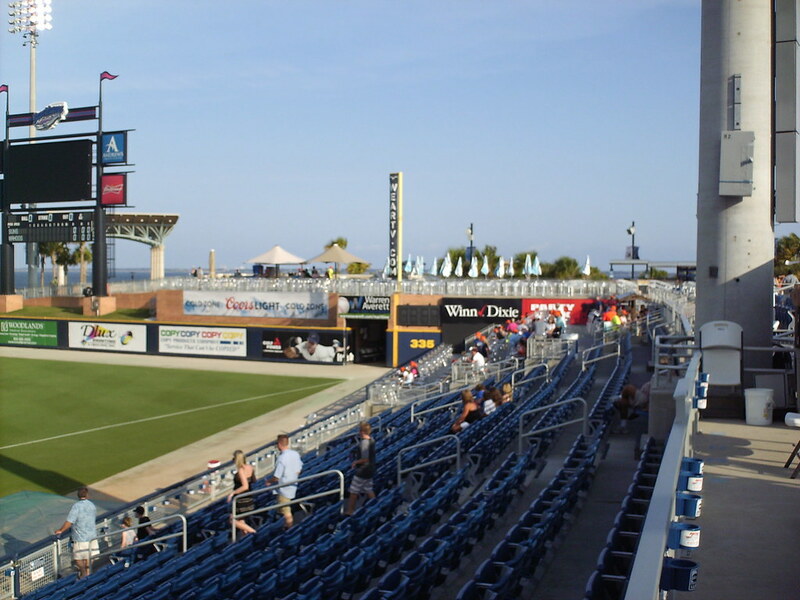 A covered party deck sits in the left field corner, overlooking the field of play and the waters of Pensacola Bay. 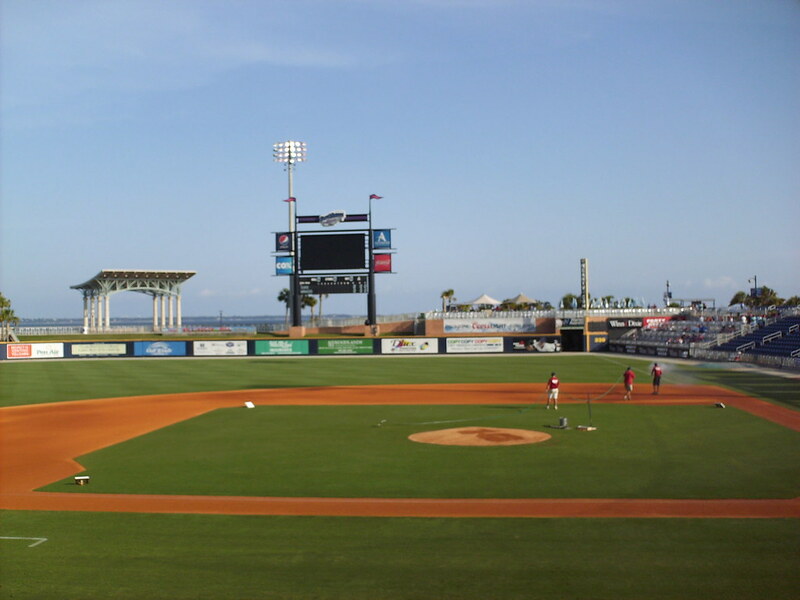 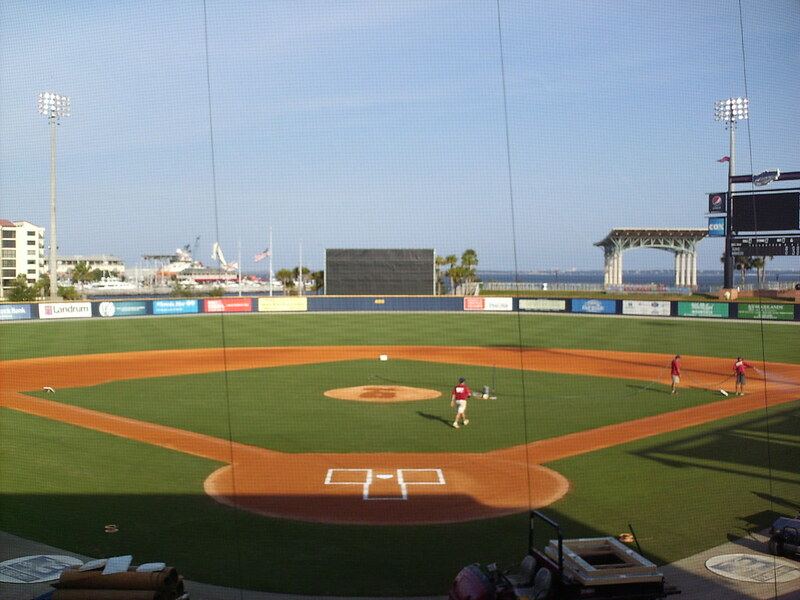 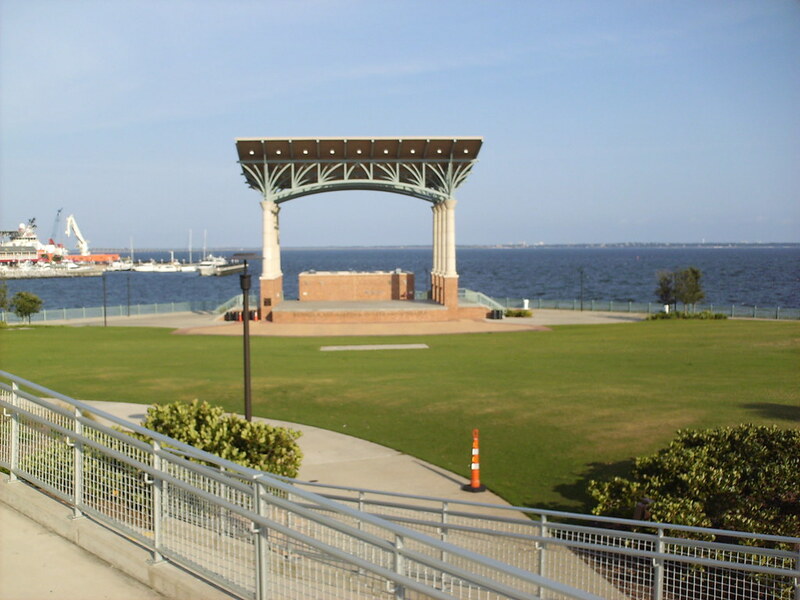 Pensacola's Community Maritime Park and the Pensacola Bay as seen from the center field concourse. 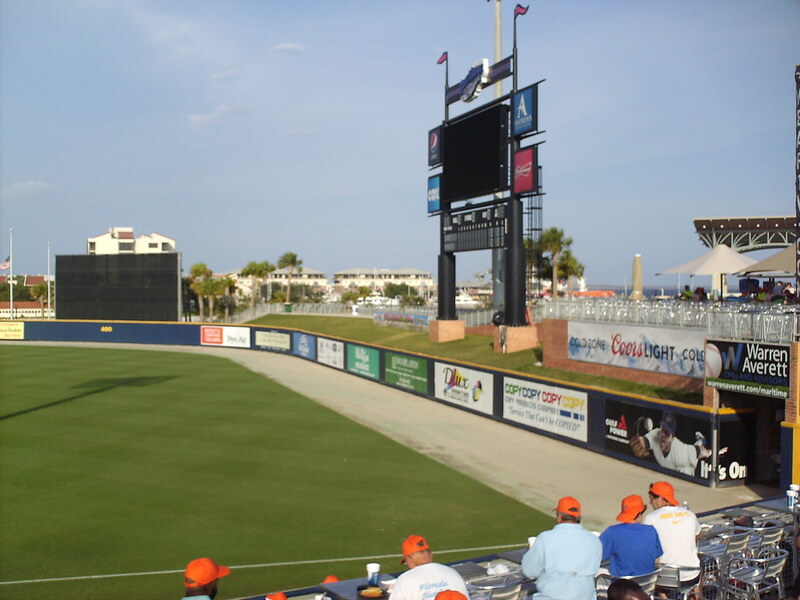 Berm seating behind the outfield fence in right center field. 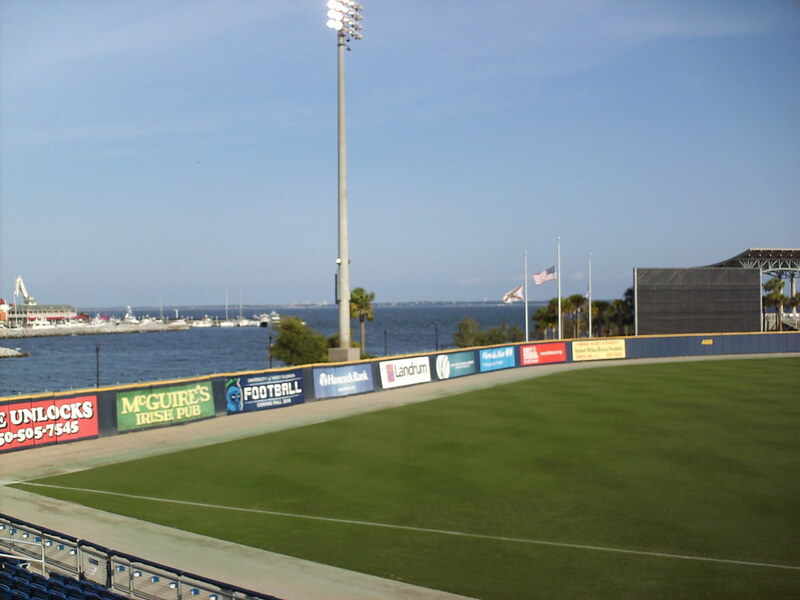 There is no outfield concourse in left field, as the ballpark backs right up to Pensacola Bay. 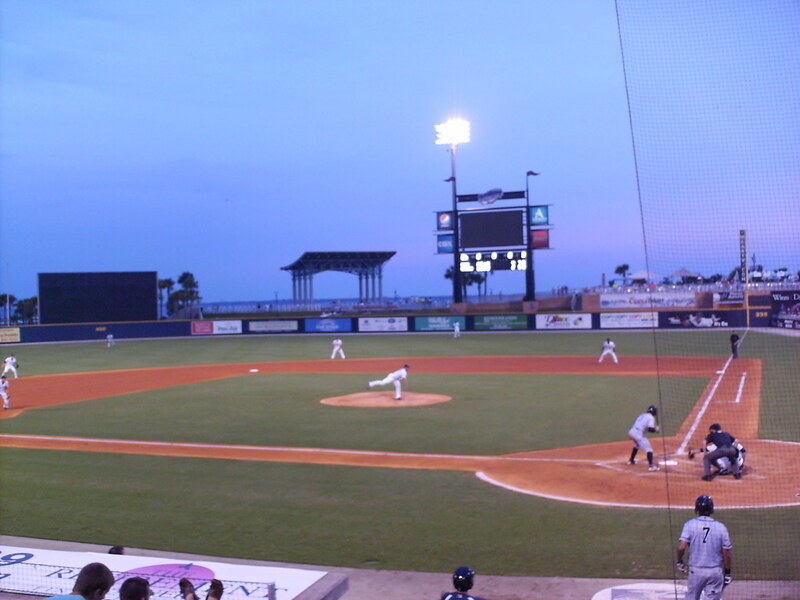 The Pensacola Blue Wahoos on the field during a game at Blue Wahoos Stadium.